Amsterdam. 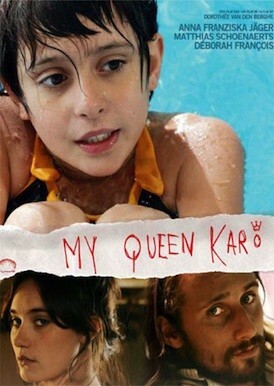 Karo, 10 years old, grows up with her grand-parents in a hippie commune during the seventies. Only child, she lives a reckless life in this utopian adult world. The rule in the commune is that everybody shares everything in the squat, but soon we find out that everyone is not able to respect those ideals, which brings Karo in the middle of the conflicts that begin to split the group. Karo aknowledges that nothing lasts forever.